We had a question from a viewer about his ball reaction. He said it was hooking to early (or too much) and wanted advice. This episode brought to you by the new Storm Invasion . Currently selling for $104.99. 21 Times, Twice for each of the first 9 frames and then 3 times in the 10th. Also, advise for Edward T as far as surface adjustments. I do not recommend making surface changes to an original Shift. It has something to do with mica particle composition, it just doesn't seem to respond well to abralon pads. Once the surface is changed, it is difficult to get the ball back to "box" finish. As far as applying polish, make sure the ball spinner is set at low speed. Too much speed will result in too much heat and the polish can fill in all the pores in the coverstock preventing the ball from being able to absorb oil and extremely diminishing total hook potential. I have a lot of trouble staying under the ball. when the ball gets to the foul line im already on the side of it and then i turn my wrist on top of the ball at release. Is there anything i can do to fix this? Everyone talks about pin to pap when laying out a ball. 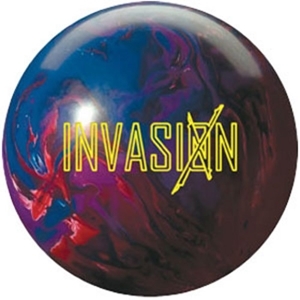 I have gone to basically every pro shop in my area and the close I have came to watching me bowl to get my pap is the pro shop guy taking my old ball and looking for my track line. Then measuring over for my pap. So what is someone like me to do when all the pro shops in my area do the same? Also what am I really losing when the pro shop drills it not knowing my pap or guessing and coming close? I’m about to buy my own quarter scale so I can acuity find my own pap.